Every other day it seems like there’s a new breach. Between the Anthem and Premera insurance hacks alone, it’s estimated 1 out of 3 Americans have been compromised. As a result, there are a growing number of companies offering a growing number of credit monitoring or ID protection services. But here’s what they don’t tell you: Most Americans don’t actually have to pay a dime for those services. In fact, most Americans don’t. According to Javelin Research, while Americans spent $1.4 billion on ID protection services over the past year, more Americans took advantage of free services and subscriptions. Consumers spent $1.4 billion on ID protection subscriptions last year. Now, the FTC warns that some of those companies are marketing fear and false promises to get you to pay for services you can likely get for free. For the most part, signing up for credit monitoring or ID protection services can’t hurt (unless they fail to protect your data), but the fact is that you probably don’t have to shell out 30 bucks a month to get those services. According to the FTC’s David Newman, most victims of mass hacks, like the Anthem, Premera and Target breaches, are already offered ID protection services for free from the companies that allowed their data to be compromised in the first place. 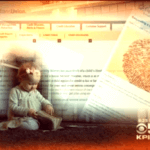 For most others, he says there is no need to pay for ID protection services that scan criminal records and the dark web for your information. “Unless you’re a victim, you don’t need those services,” said Newman. Neal O’Farrell of the Identity Theft Council also points out that none of the services detail how deep or how often they search the dark web for your information. However, both men advise that you do take advantage of any free services that companies offer you following a breach. “Free is free; you just shouldn’t have to pay for it,” said Newman. But that doesn’t mean you should let your guard down or be complacent. In fact, there are three free—or nearly free—steps every American should take to protect their credit from crooks. 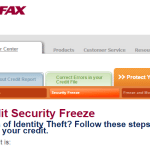 Step 1: Freeze Your Credit. 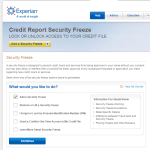 Most experts agree a credit freeze, aka security freeze, is the single best way to prevent financial ID theft. It prevents anyone from running a credit check in your name. Without a credit check, crooks can’t open up credit cards, take out loans or rack up (most types of) debt in your name. 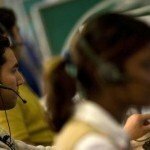 You simply log on to each of the three bureaus’ websites, verify your information, pay the $5-$10 fee and record your unique PIN number, and then your credit is frozen. If you need to open a credit card or take out a loan, simply log back in using your unique pin code, thaw your credit and set the automatic refreeze date. The thaw takes effect almost immediately. I was able to apply for credit the same day. But be sure to keep the pin in a safe place, or email it to yourself in a discrete email. If you lose it, thawing your credit can be difficult. 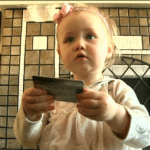 The process is so simple that I froze my credit on air for this ConsumerWatch story. A credit or security freeze requires a maximum of a $10 fee to freeze your credit and another $10 each time you thaw. However, it’s free in many states. 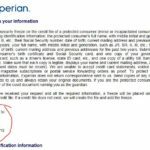 Don’t be confused by similar sounding products like “Credit Monitoring” that require monthly subscriptions. “The bureaus make money when people check your credit or you buy their services. It’s not in their interest to allow you to freeze your credit because they don’t make money, but they are required to (allow you to freeze your credit) by law,” explains Newman. 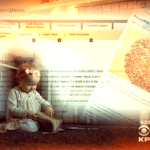 Unfortunately, in most states the bureaus are not required to allow you to freeze your child’s credit even though studies show kids may be more likely victims than adults. 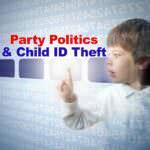 Crooks target kids’ pristine Social Security numbers because they know they likely have 18+ years to wreak havoc before anyone realizes the child’s identity has been stolen. 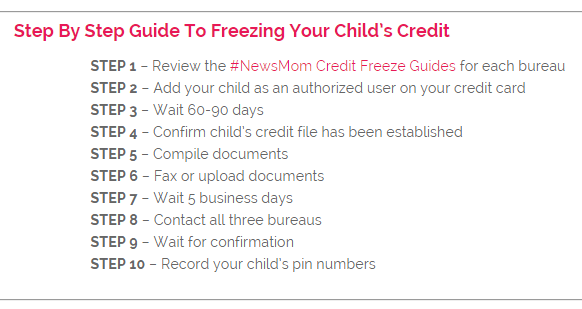 The good news is, I came up with a work-around in states like California that don’t yet force the bureaus to allow you to freeze your child’s credit. 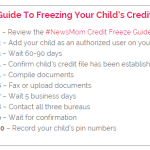 See “How I Forced the Credit Bureaus to Freeze My Child’s Credit” for details on my findings. Under federal law, you are entitled to a free credit report once a year from each bureau. Annual Credit Report.com is the only place to get a truly free credit report. While each bureau has slightly different information, if you space out your credit reports—one bureau every four months—you can keep a close eye on your credit year-round. And contrary to popular belief, you can still check your credit report when your credit file is frozen (I just did it to confirm). 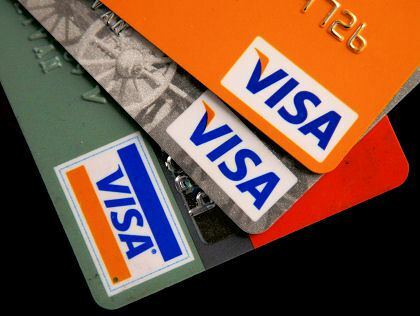 It’s important to note that a credit freeze does not affect existing credit, so crooks can still steal your credit card numbers and rack up charges on the credit cards that are already in your wallet. That’s why it is important to continue to monitor your existing accounts. Though, keep in mind you are not responsible for fraudulent charges on your cards, so your banks are likely keeping a close eye out for suspicious activity too. A credit freeze also does not protect from tax ID theft, Social Security fraud or other types of ID theft where crooks use your Social Security number to collect government benefits in your name. It’s important to stay vigilant and keep an eye out for suspicious letters or notifications. 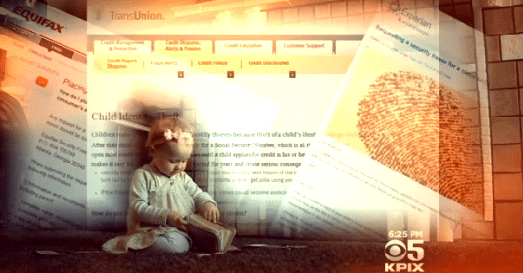 Bottom line, experts say to be proactive, freeze your credit and monitor your accounts. While these services don’t hurt, you shouldn’t have to pay for them—24 million Americans already get them for free. The Consumer Federation of America recently released its Best Practices for Identity Theft Services, now featuring a new section about data breach services, and a checklist for consumers.